Lina Eklund has come back from her training camp at ”The Arena” in San Diego and has already set her eyes on returning to the US. 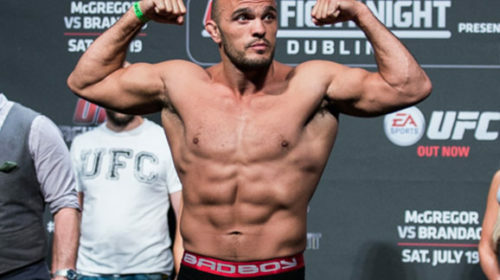 In this exclusive interview with MMA Viking, the fighter out of Pancrase Gym in Stockholm talks about the recent fight that did not happen and two new upcoming bouts. As she reveals, her next bout is a big step up on competition and has landed her a spot on CFX/Crowbar MMA’s Winter Brawl on Saturday, February 18th in Fargo, North Dakota. MMA Viking : Welcome back to Sweden. Please tell us about your training in the US. Eklund : Yeah, I had such a good time there. But it was really pity I didn’t get to do my fight. I got an offer to fight at the Golden Acorn. I was very excited and trained hard but I got an injury on my leg. I wanted to fight anyways but the doctor said no so I didn’t get to fight. 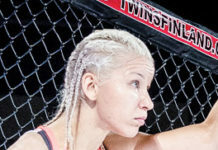 MMA Viking : Did you spar with Cristiane Cyborg? What is her impression? Eklund: Yes. She is a very good fighter and also a very good teacher. We trained together and she was a really good training partner. MMA Viking : Then she had a tremendous KO and after the fight she got banned for 1 year penalty by CSAC which is very hard for a fighter. Lina: Right. Usually 3-6 months is common for the penalty. I don’t know if she took it or not, but very sad she is out of fighting. MMA Viking : What kind of training menu did you have in the gym? Eklund: The basic training is not so different from Pancrase Gym Sweden. 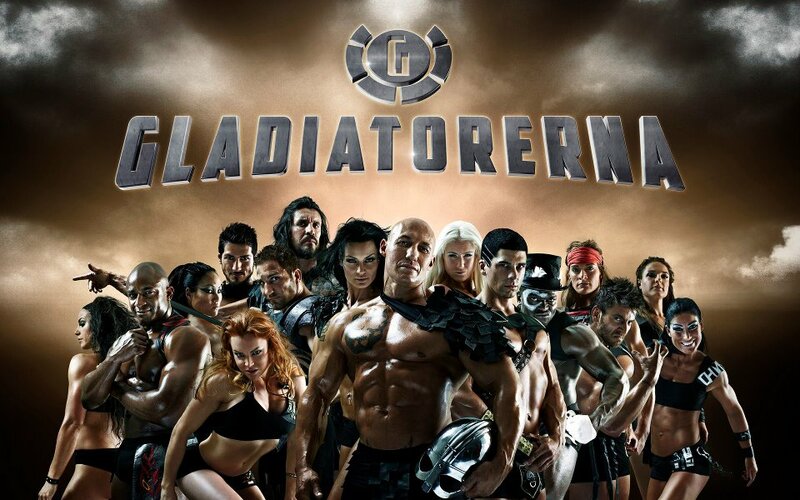 But the Arena was a bigger gym, they have more coaches, one boxing coach, one wrestling coach, cardio, BJJ etc. so you get more specific training outside of MMA. Specially I have done a lot of boxing lately, which has been good for me. MMA Viking : What is your next fight? 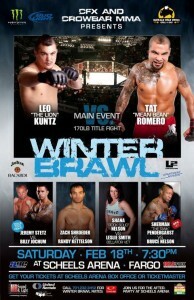 Eklund: I have one fight in North Dakota Febuary 18th, Fighting Championships at Fargo. I fight in 135lbs. And the opponent is Shana Nelson. And I have signed a fight in Belgium vs Fran Vanderstrukken in Staredown 6, March 17th at Expohal Autwerpen. MMA Viking : Do you have any message for the readers? Eklund:First of all I want to thank everybody at The Arena gym San Diego. They helped me a lot and I had a realy good time there. I miss them all. I also want to thank the MMA fans who follow the sport and I always want to thank Omar who is the one that has taken me to where I am. See exclusive pictures and video interview of Eklund training in San Diego. 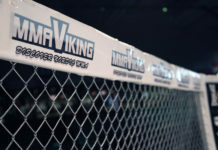 “Like” MMA Viking on Facebook and follow us on Twitter for updates on all things Nordic MMA.